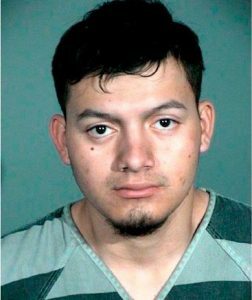 An illegal alien from El Salvador has now confessed to murdering four persons in a Reno, Nevada, killing spree. Wilber Ernesto Martinez-Guzman, 19, a native of El Salvador who has been in this country illegally for at least a year, has been charged with the murder of four persons in Nevada: Jerry David, 81, and his wife, Sherri David, 80; Connie Koontz, 56; and Sophia Renken, 74. Police say robbery was the motive. The Davids were killed with their own gun, which Martinez-Guzman had stolen.